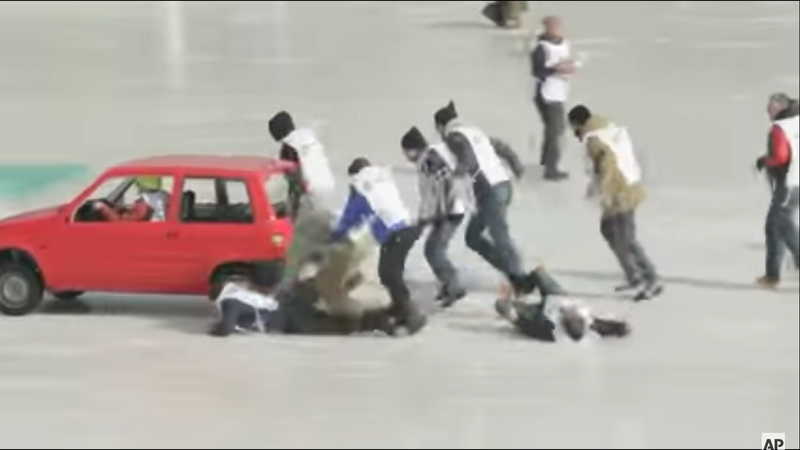 The game seems to work the same way as regular old curling, except a team pushes the car toward the target and stations one person inside to steer. Everyone seems to fall down. This does not attract my attention to the need for insurance. It does, however, attract my attention to how fun this incredibly dumb sport seems. Here Is A Cool Curling Thing, Probably. Who Even Knows, Man.